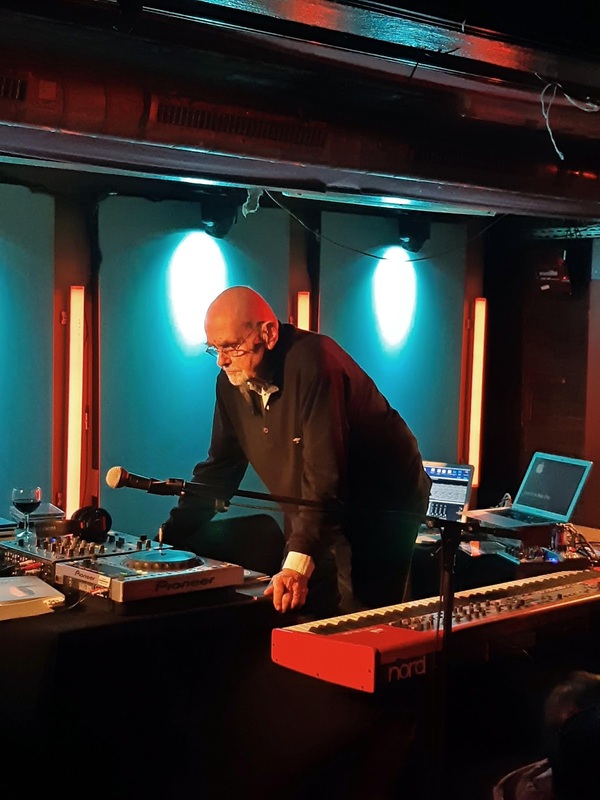 Hans-Joachim Roedelius opened the show by talking about his autobiography and then playing a recording of a classical composition by an 18th century ancestor named Johann Christian Roedelius. He cited a contemporaneous review of this ancestral Roedelius that described his music as light, agreeable, and entertaining. I can't recall or convey the poetry of the original German as effectively as I'd like, but the somewhat condescending implication was that the music was not particularly arty or serious. 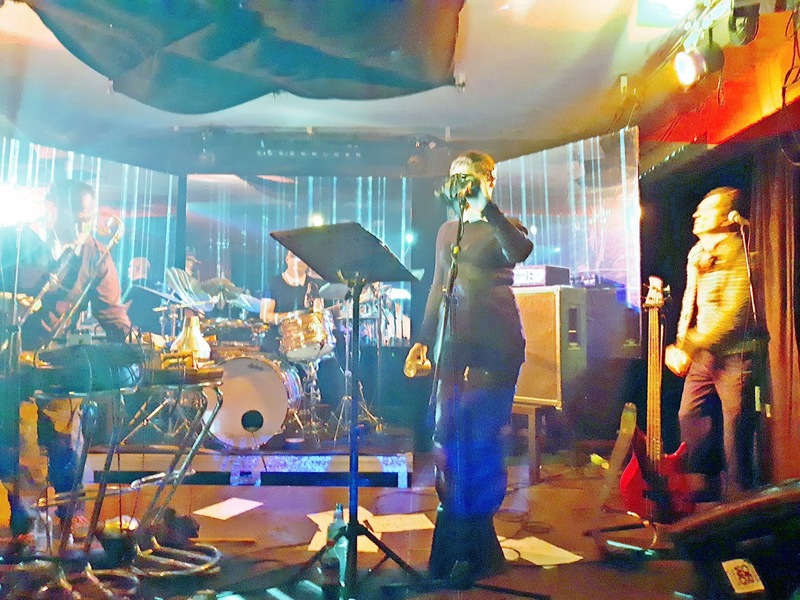 The modern Roedelius delighted in the description and said that he hoped his own work could be described similarly. Despite being surrounded by a keyboard, two laptops, and assorted other electronics, he spent most of the evening DJing CDs. I'm not even sure that everything he spun for us was by him! Most of the tunes were ambient or at least soothing and peaceful. 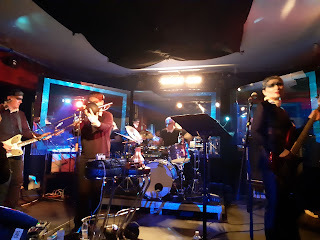 However, one had a more sprightly drum machine that reminded me of Harmonia or Sowiesoso, and as the night drew on, more of his picks had pop and jazz rhythms and occasionally even vocals (from other performers). A couple tracks would've been called chillwave if they had been made today by someone a quarter of his age. The biggest surprise was a song with a hip-hop beat that featured German rapping from Roedelius! It was just a recording, but still: it was well executed and somehow not embarrassing. When he wasn't working his walkmen, he read excerpts from his autobiography, played a few numbers on his keyboard, and shared some of his favorite poems (including at least one from himself). The texts varied from the existential and almost spiritual to a thorough run-down of every health problem he has suffered and an extended ode to his wife in honor of a birthday. Instead of an encore, he closed the show with a plea to create not just for oneself but for the betterment of each other and nature. Over the course of the night, I gradually started to understand what Roedelius meant about living up the quote about his ancestor's music. Cluster and Harmonia were always more about mood and texture than any specific message or medium. I was also hardly surprised to learn that Roedelius worked as a masseur and physiotherapist before starting his musical career. He's well trained in relaxing people and putting them at ease. If one bit of meaning does escape from his music, it's the encouragement of connection to fellow humans and to the natural world. 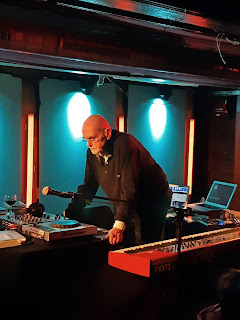 Roedelius's show was unusual and yet a pleasure. I would've preferred a more active performance, but I can't blame an 84-year-old for taking it easy and telling stories. Besides, the show was cheap and the venue rather unintimidating. I liked the warm and positive tone he set, and his words carried depth and meaning (to the extent I could keep up with the German). I feel like I learned something from him. He said people often ask him if he feels old or whatever, but he said feels like he's been around forever, and he hoped we'd get to feel that, too!